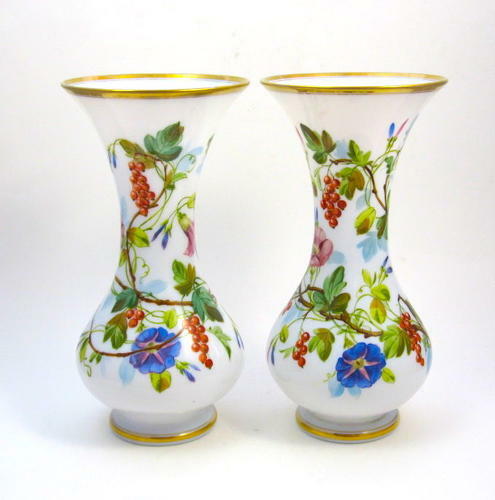 This Pair of French Opaline Glass Baluster-Shaped Vases are Decorated with Polychromatic Flowers on a White Background. Wonderful Quality Hand Painted Flowers. The Base and Collar Underlined with Gilded Stripe. Probably by Jean Francoise Robert, Baccarat.